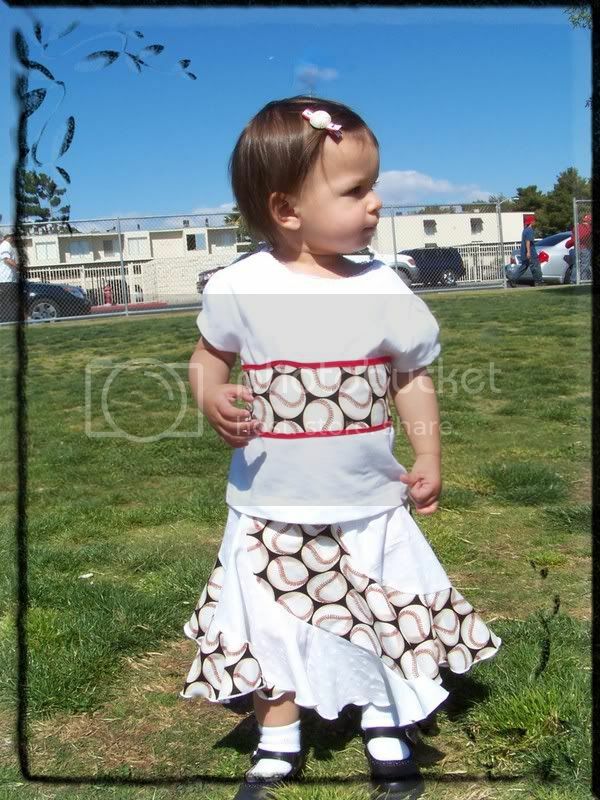 Here is a little redondo style twirl set by DaintyDivasBoutique. I love this vintage wash custom name tee by Pally*Wally! 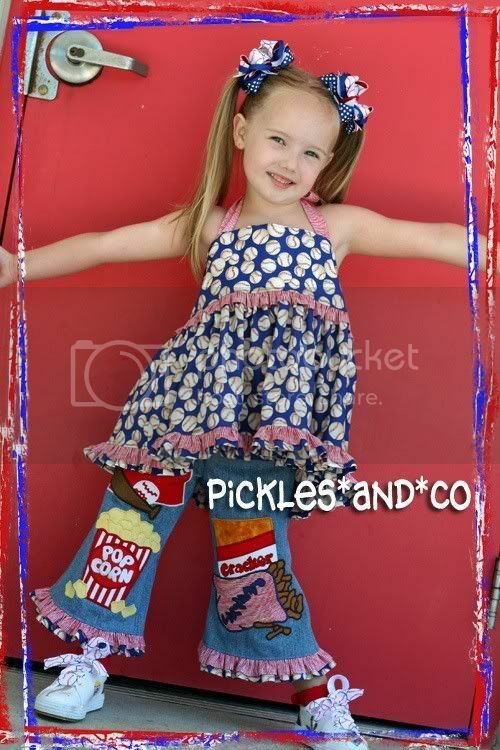 How adorable is this little capris set by PicklesandCo.? Too cute!! I've featured her before on my love list, but she just keeps making such cute stuff she made it back on the list again! 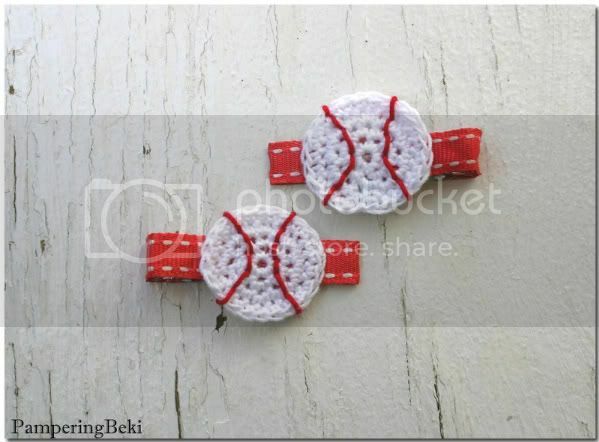 And just in case you have a little girl who needs some baseball hair accessories, I have a new set listed! Buy me some peanuts and cracker jacks.... I LOVE these! Thank you for the feature! Everyone's creations look so cute! Those pics of the girl models are so adorable as well as the clothes. Also your hair accessory is too cute Beki. Clever idea! You are SUCH a sweetheart Beki!!!! Thanks so much for featuring my set. I love all the others too...one of my very favorite themes!! How fun!! 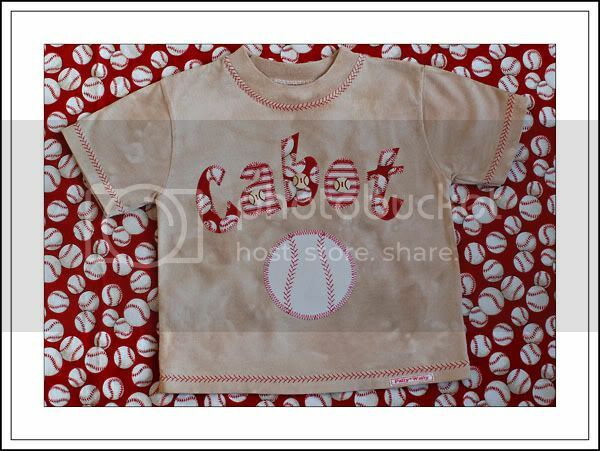 LOVE all the items - an I almost bought that baseball fabric that picklesandco used in her outfit! it looks great as a top! Great outfits!I have the Redondo skirt pattern too! Which pattern you used for the shirt on the second picture ?It´s really nice! Those outfits are so adorable!! I'd love to get one of each ~ do they come in "big girl" sizes that would fit me?